Examines the fourteenth century monuments and seeks to identify its subject. Double effigies commemorating a parent with a child were relatively rare before the 16th century. This may explain why some medieval sculptors turned to religious motive for inspiration. 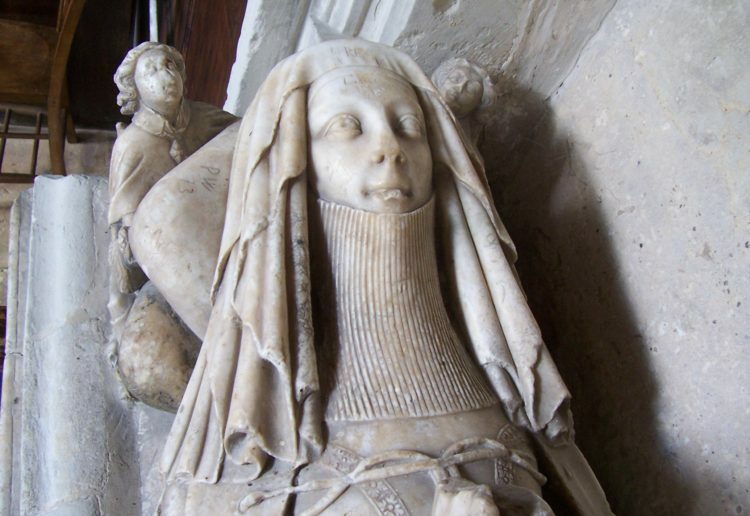 The 13th century tombs effigy of the Lady Constancia and her son John at Scarcliffe, Derbyshire strongly resembles a Madonna and Child of the period, resulting in a clash between the standing posture of the Virgin and the recumbent character of the effigy. Two German monuments at Unterreichenbach and Oberwesel further illustrate how a religious theme might influence other types of tomb iconography. Sir William Dugdale's Book of Monuments is well known but surprisingly little of its contents has been published. This article looks at one aspect of this work, monumental brasses. The manuscript was compiled between 1640-1641 in anticipation of the forthcoming Civil War for Sir Christopher Hatton, Dugdale's patron. Although parts of the original manuscript are now lost, enough remains to provide a tantalizing glimpse of monuments that were soon to be swept away in the tide of the war. A summary list of all brasses illustrated in the manuscript forms an appendix to the paper. Also listed are a number of manuscripts associated with the Book of Draughts. Paul Cockerham and Adam White: Epiphanius Evesham in a French Court. 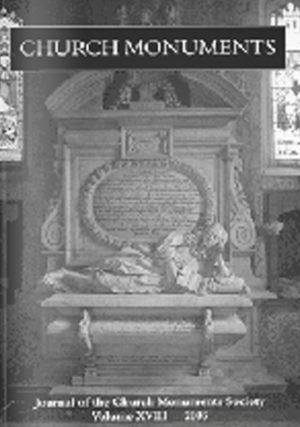 Considers seventeenth century monuments to those who died under 20 years of age.